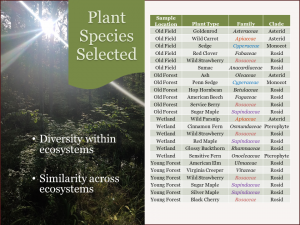 What is The BIOME Project? In collaboration with Sheng Yang He (HHMI investigator at Michigan State University) and biology faculty at Calvin College, the Biological Investigations of Multi-level Ecosystems (BIOME) project engages undergraduate students in authentic research exploring the microbial communities living inside healthy plant leaves (endobiome). 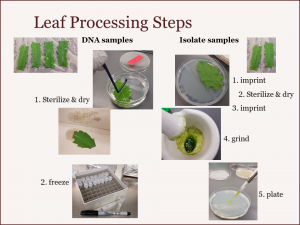 In keeping with the goals of Educative Research™, the first phase of this pilot project facilitates student learning of core concepts and competencies associated with Ecological and Evolutionary Systems (Fall semester) and Cellular and Genetics Systems (Spring semester). We are also considering ways to involve microbiology and physiology students in other aspects of this project. Stay tuned for future updates! 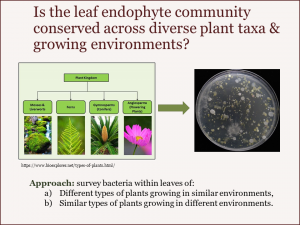 Why study the leaf Endobiome? 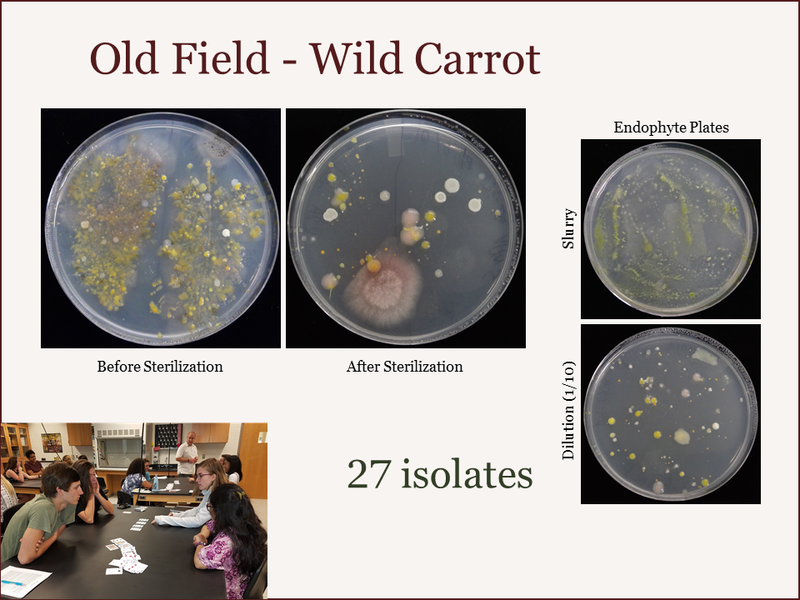 Microbes are a potentially rich resource for novel antibiotics, medicinal compounds and plant growth-promoting metabolites that may help us combat diseases and sustainably increase crop productivity under stressful conditions. 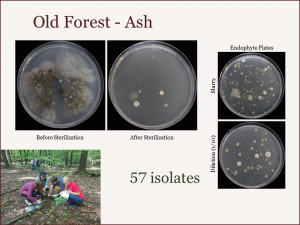 However, before we can tap into this resource, we must first explore the secret world of microbes to identify who lives where, who does what and how microbial community composition is affected by host species and growing environment. 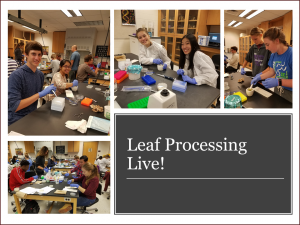 Therefore, students involved in the BIOME project are working to isolate, identify and characterize bacteria living inside healthy plant leaves. 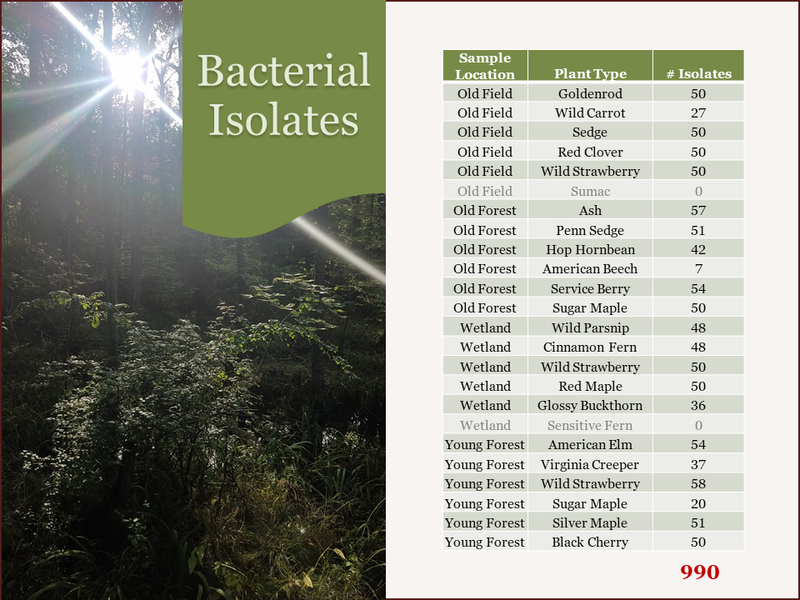 Our current primary Objective is to find bacteria that promote plant health thereby enabling the discovery and implementation of new, sustainable approaches for increasing agricultural productivity. 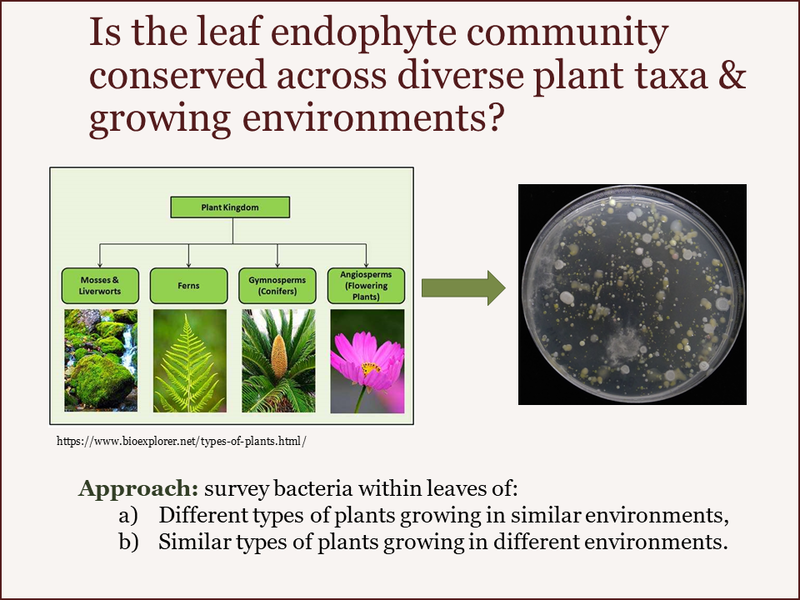 As plant leaves are also home to microbes capable of making novel antibiotics and medicines, in the future we hope to expand our efforts to finding microbes with these capabilities as well. Community is central to our efforts to learn about and explore microbes and their influence on us and the world. In the classroom, we use TheCOM™ chats to identify, discuss, critically evaluate and communicate Core Concepts (species richness, biodiversity, phylogenetic trees, etc.) and Key Findings. Last fall, a central resource we used was I Contain Multitudes by Ed Yong. This book takes readers on an adventurous exploration of the microbial world, especially highlighting microbes associated with animal and human systems, and was a favorite element for many students. After reading specific chapters outside of class, we discussed questions and shared exciting discoveries made from the readings. Students were also challenged to debate controversial topics presented in the readings, which helped them practice providing evidence to support their claims. 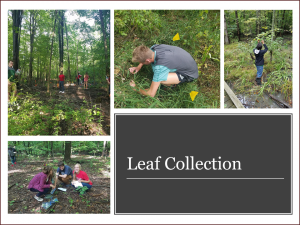 As you may have noticed, our activities were designed to both facilitate student learning of Core Concepts as well as Diverse Skill development. Diverse Skills we specifically targeted included team work, reading and following protocols, technical skills, critical evaluation, problem solving and, of course, a special emphasis on effective communication. 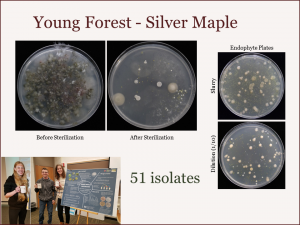 Videos, presentations and posters were all used to help students refine their ability to effectively communicate the Relevance, Objective, Approach and Response (Results, Conclusions and Future Directions) of the BIOME project. (See featured videos below.) To help students take ownership in applying Strategic Career Management, we also had them rank and select specific skills they wanted to target. At the end of the semester we had students provide evidence to each other and the class demonstrating how they advanced in the skills they selected. 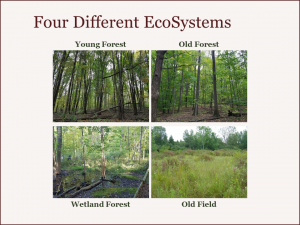 To explore the effect of plant type and environment on bacterial leaf endophytes, we chose plant species living within 4 different ecosystems in the Calvin College Nature Preserve. 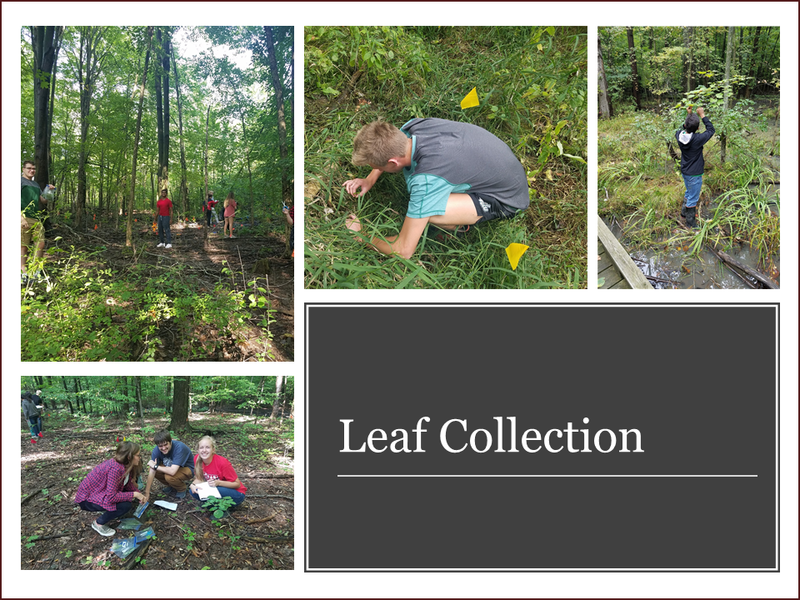 Teams of 3 – 4 students helped assess the plant species growing in each ecosystem to help select 6 species per location. 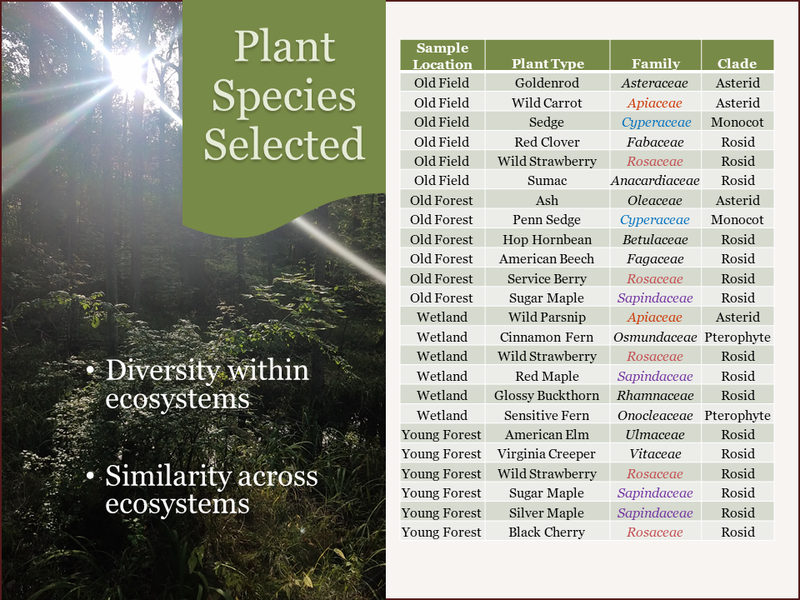 Our goal was to maximize plant species diversity within and similarity across ecosystems. 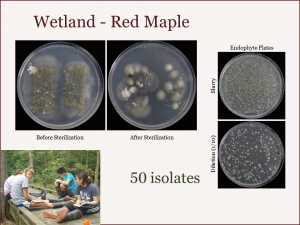 Each team was then put in charge of sampling one species/location combination. Samples were collected for both DNA- and culture-based identification. This is important because DNA-based methods will capture non-culturable bacteria and culture-based methods will help us generate an isolate library for further study. 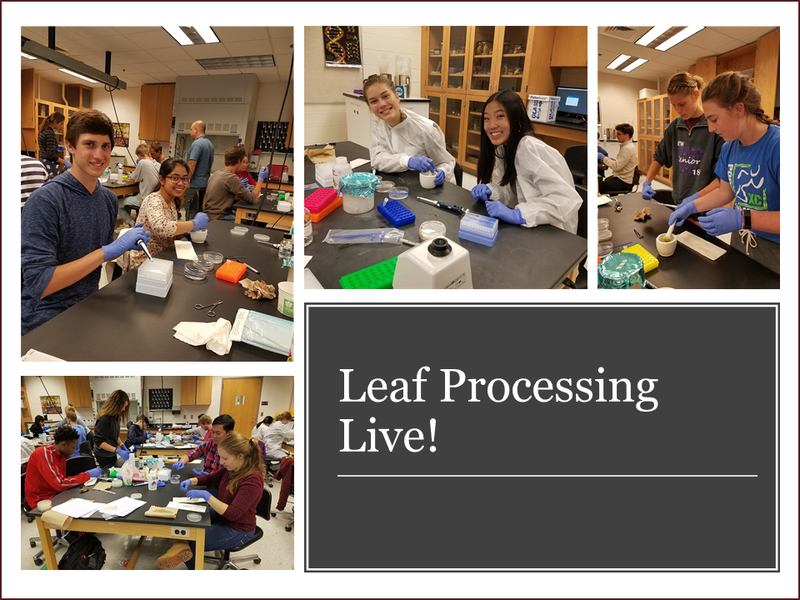 Students used bleach to remove bacteria living on the outside of the leaves before processing. 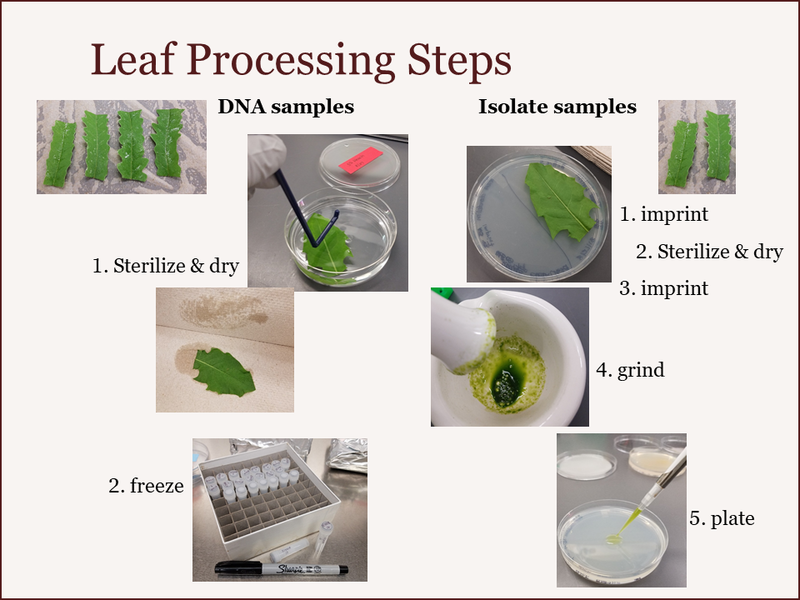 Leaf imprinting was done before and after to assess the effectiveness of surface sterilization. 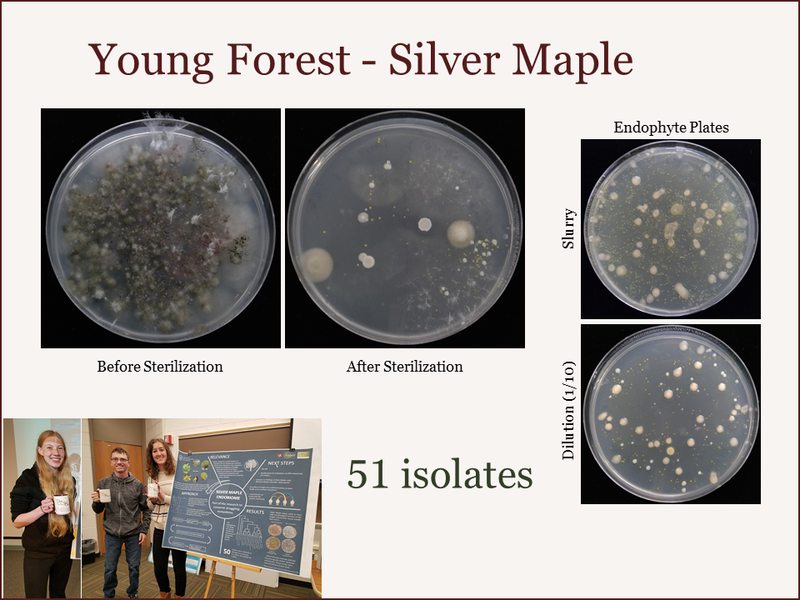 Students helped collect ~1,000 bacterial isolates last fall, which are currently being processed to create a new EndoBIOME glycerol stock library. 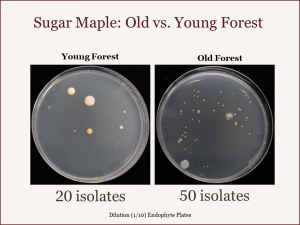 Although we don’t know their identities yet, we did see some interesting differences in isolates based on plant type and growing environment. 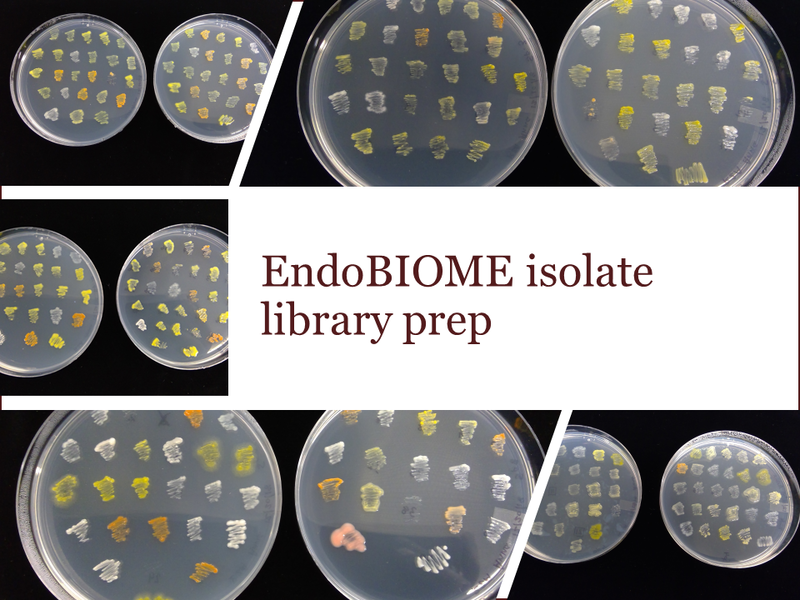 This coming semester, students will process their frozen tissue to isolate DNA for sequencing. 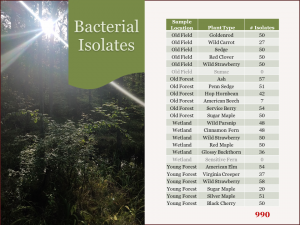 This will enable us to identify the microbes. 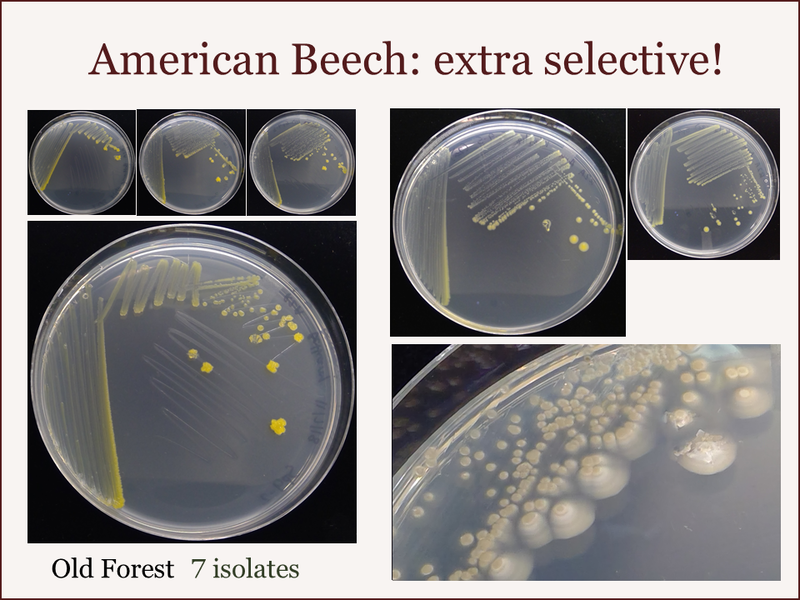 Stay tuned for future results!